Matthew Diaz was headed southbound on Frontage Road near Hill Road when a vehicle driven by 30-year-old Miguel Cuevas hit him. There are no shoulders on the road where the accident occurred. California Highway Patrol investigators do not believe drugs or alcohol played a role in the crash. 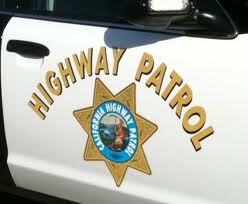 CHP officers are investigating the incident. Two years ago, the SLO New Times posted a photo of Diaz and several of his friends in an article about funding issues for South County recreational facilities, including a skate park. The article noted the hazards of skateboarding in Nipomo. In early 2017, San Luis Obispo County Supervisor Lynn Compton found that more than $10 million in public facility fees generated in Nipomo had been spent in areas supervisors Bruce Gibson and Adam Hill represent. Since then, Compton has battled with Hill and Gibson over dedicating funds to build a skate park in Nipomo. Blame the victim, that’s great. It’s real nice to see that District 2 and District 3 cities all got their skateparks. I’m sure their reps are really proud they bullied their way into pilfering funds needed to build the skatepark in Nipomo. I was just out of college, working two jobs and courting my wife at 24 years OLD. No time for skateboarding. Too busy paying back the man for my car, home and taxes. Sorry this man died in an accident but I can’t understand why he was out riding a skateboard, in the dark, on a road with no sidewalks at 24 yo. Just can’t imagine walking in those type of shoes. Yes blame the victim again. My son skateboarded to work off and on for four years when he was in his twenties. It saved gas and there wasn’t an ounce of fat on him. FYI Sunset Skateboards make wheels that light up and he had those on his board. He could be seen half a block away. So sad. So sad. Matt was a fantastic guy and will be missed. May the heartache be comforted by the good memories that you hold in your head. My heart goes out to Matt’s family and his friends. Matt was a super sweet kid and a very good friend. This easily could have been my son that was hit or myself or a family member the driver. It’s dark in that stretch of road at night and there is no shoulder. This is just heartbreaking…rest easy, Matt. When Lynn Compton discovered a few years ago that Supervisors Hill and Gibson had siphoned off millions of dollars of development impact fees generated in her District to fund projects in their districts, she fought valiantly and victoriously for a major financial commitment for parks projects in her district, including funding for a skate park in Nipomo, despite the opposition of Hill and Gibson. Since then, she has been working diligently with the community to make it happen.